On Sunday June 24th, we begin our Summer Schedule with one service only at 10:30 am. 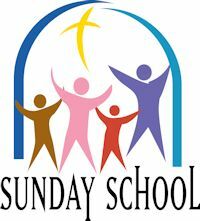 This year we will kick off our Summer Schedule with a special Sunday School Sunday. Come sing some familiar Sunday School Songs, celebrate the Sunday School Students, teachers and helpers, and you can even have your cake and eat it too! This entry was posted in Feature and tagged Service, Sunday School, worship. Bookmark the permalink.